The celebrations are coming to Britain for the first time since the event's inception four years ago. Arthur's Day - first held in 2009 on the 250th anniversary of Arthur Guinness signing the 9,000 year lease to the Dublin brewery - will take place on Thursday September 27. The Great Britain leg will be marked with live music events in the 30 official Arthur's Day pubs in the surrounding area of London's Senate House and on the principal stage nearby. 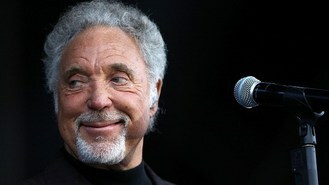 Sir Tom said: "I have great memories from playing the first Arthur's Day back in 2009... I'm ready to rock London, like we rocked Dublin in the first year." Having performed at last year's event, rapper Wretch 32 is also on the London bill along with singer VV Brown. Wretch said: "I'm really looking forward to playing alongside Mr Tom Jones and raising a pint of black stuff to Arthur." The celebration will take place in over 55 countries with a host of musical acts set to perform, including Mumford And Sons, Example, Tinie Tempah and Fatboy Slim. Arthur's Day will be made available live on YouTube.